Charlotte was a brilliant, bouncy, mischievous, and exquisite white-merle. Her baby blue eyes added to her charm. She was sweet, smart, and affectionate companion and a joy to watch run and play. She filled our days with love and laughter. 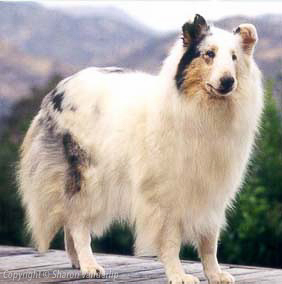 Her keen sense of hearing, excellent eyesight, cleverness, speed, and agility made her a tough competitor when she played with the other Collies in the arena! Charlotte was a wonderful mother to her beautiful puppies, as well. 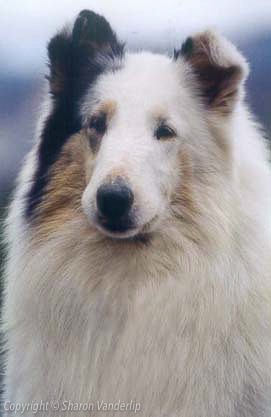 She lived her entire–and very long– life here at Rainshade Collies.